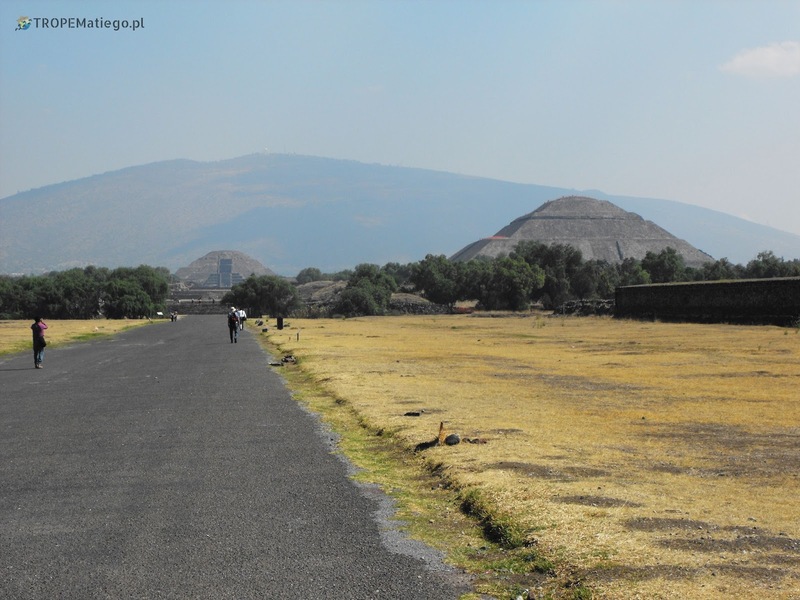 Teotihuacán is worth a visit for several reasons. The most interesting is the fact that the city was super modern in times when Europe was crawling. The size of this place gives you a lot to think, but we will come back to this later. The easiest connection is from Northern Bus Terminal (Terminal Central del Norte). It is situated on the street Lázaro Cárdenas and it can be easily reached by subway. At the station is a lot bus companies, but connection to Teotihuacán is operated only by one. After entering the terminal you need to turn left. Small bus operator is almost at the end of the long carriers' wall. Here you can buy ticket to the desired ancient city. The ride lasts less than hour. The trip is on 2300m asl, at the beginning it goes through Mexico City suburbs, later through steppe. The main public transportation in Mexico is by buses. Trains from practical point of view don't exist, planes don't fly everywhere. That's why bus business is very well developed. The service is offered by many companies, very often with high standards. Usually the standard is much higher than in Poland. You can take bus with VIP, super VIP, first or standard class. Even the standard class is much better than polish. On longer journey there is almost always tv, so passenger may watch movies. About 10pm the light and the tv is turned off, so everyone may sleep. Air condition is on and it always works on the highest level. Hence at night is cold, I recommend to have warm blanket. In the first class seats are much more comfortable with footrests and more space overall. What's more you will get some snacks at the entry to the bus - something to drink and a sandwich. Security in buses has high priority in Mexico. This can be seen from the bus station to bus itself. Passenger with the ticket goes to separated waiting room. It is forbidden to go to platform, where the buses are. First the passenger needs to pass check-in. It may be similar to this one on airports. At some moment there is announcement that the bus is ready to board passengers. Then they are going to the gate where the luggage is checked. After checking passenger goes out to his bus on the platform. If the passenger goes first class, he will get some snacks on the entry to the bus. It may happen that another quick personal security control will be performed right before entering the vehicle. In fact, white people aren't checked so carefully as it is treated as a formality. During the journey to Teotihuacán some man went into the bus at some stop. He very carefully filmed on the camera every passenger and he went out. As I know they do it to make it easier to identify potential offender if something happen. Some buses have special pipes on the wheels. Probably the pipes can make the wheel working even if the tyre is flat. Armed attacks are rather rare, but they happen (purportedly). We would more likely be robbed in the bus. However I made more than 4200km in the buses, slept many nights there and nothing bad happened to me. In short, buses are common, convenient and safe transport in Mexico. The bus stops in the middle of nowhere. Good to remember where it is, then it will be easier to find return bus. Pyramids aren't visible. Fortunately, it is easy to find out the proper direction. If you want to shot some movie you need to pay extra, it isn't a big cost. In front of the entrance to the historical city, there is large alley with shops. I really recommend to prepare for a lot of sun. There is no shadow at all. I bought there a hat for 100 pesos (approx. $5.25). You can also spent your money outside of the shops. Salesmen walks between pyramids offering souvenirs, for example earthenware, round Mayas and Aztecs' calendars, jewellery and so on. Necessarily you have to bargain with them. I was able to reduce the price for 50% and I don't think I'm good in such negotiations. Although not so many building survived the city is very big. 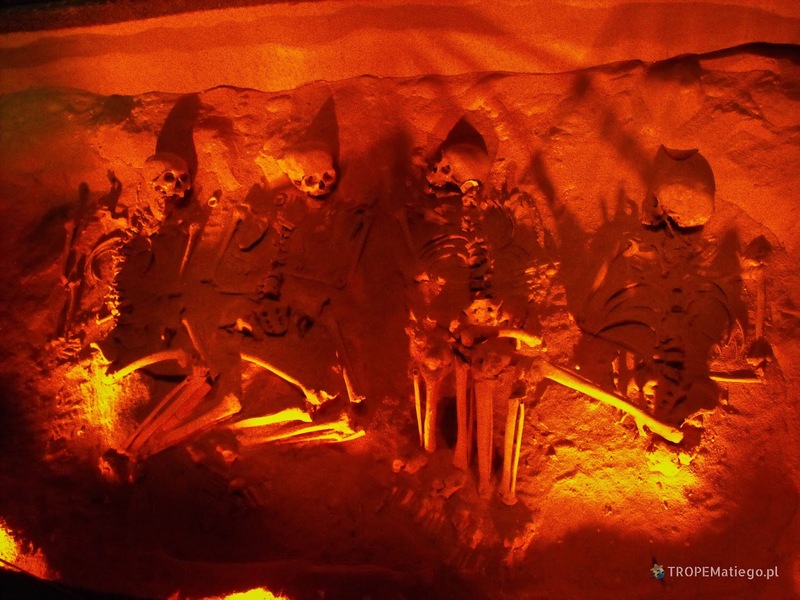 Archaeologists believe that the city had an area of over 20 square kilometers and 125 thousand people lived here. The city was developed the most around year 200, later it collapsed. It's highly possible that the scale effect was reached - the city became too big to still exists. At the entrance, you will see a complex of ruins with Pyramid of the Quetzalcoatla, on the left is Avenue of the Dead. 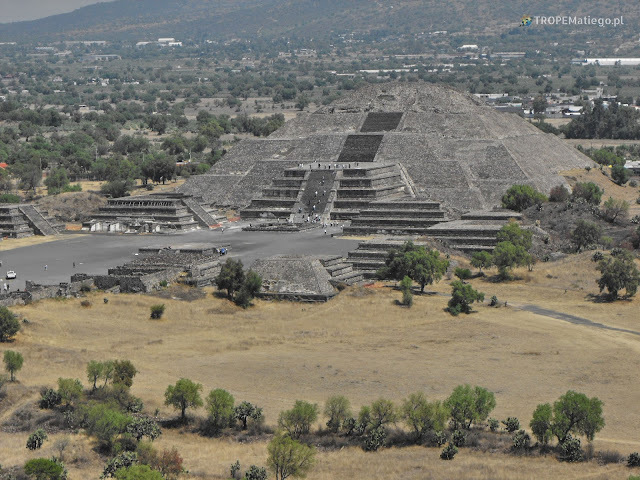 Further you can see Pyramid of the Sun and Moon. 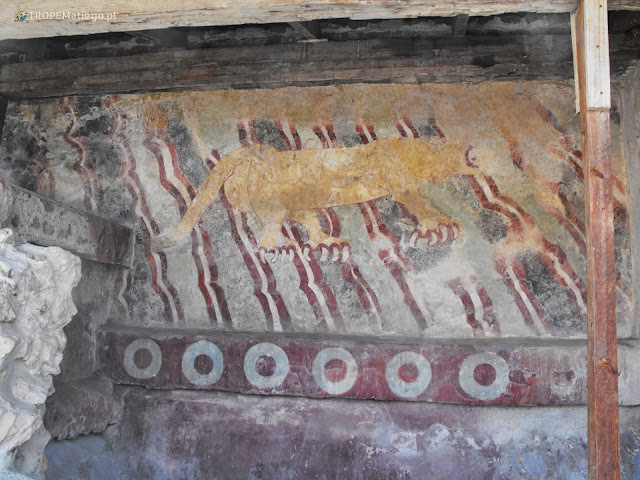 Maybe Pyramid of the Quetzalcoatla is not the biggest one, but it has the best ornaments on its facade. Walking on the Avenue of the Dead at some point you will see a path on the right side. You can have impression that there is nothing on that path, but it's not true. If you go there, you will find modern building - museum. 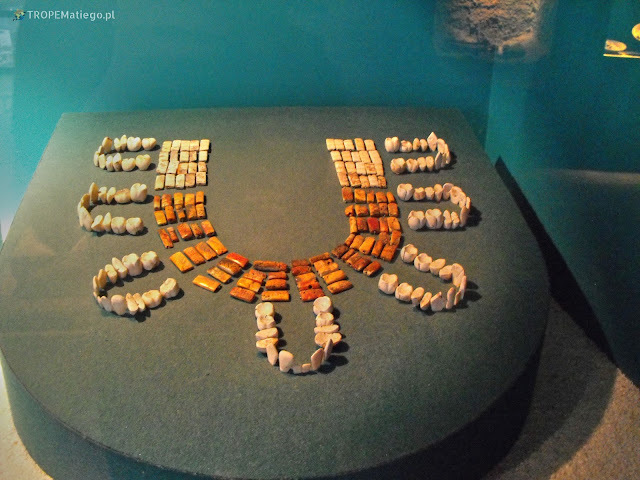 In the museum many objects from this city, pyramids are presented. There is also large model of the whole city. Entry to the museum is included in the ticket, so no need to pay extra. What's more it is a occasion to catch some shadow, which is priceless at these temperatures. 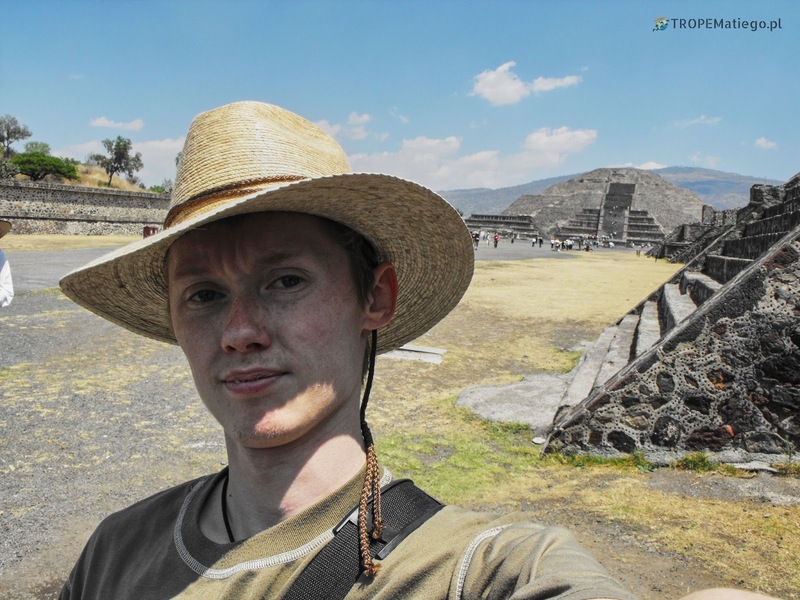 Next, you will reach Pyramid of the Sun. 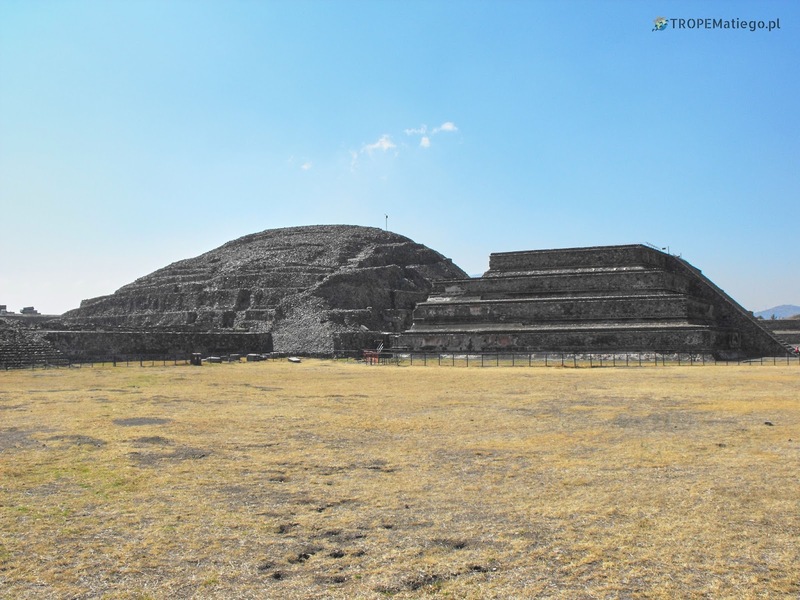 It is the largest pyramid in Mesoamerica. The base is as big as the Great Pyramid in Egypt, only the Mexican one is a little lower. It is allowed to go to the top. I recommend to take water, because it is quite challenging climbing to the top in the hot sun. At the top, great view waits for the tourists especially of the Pyramid of the Moon. 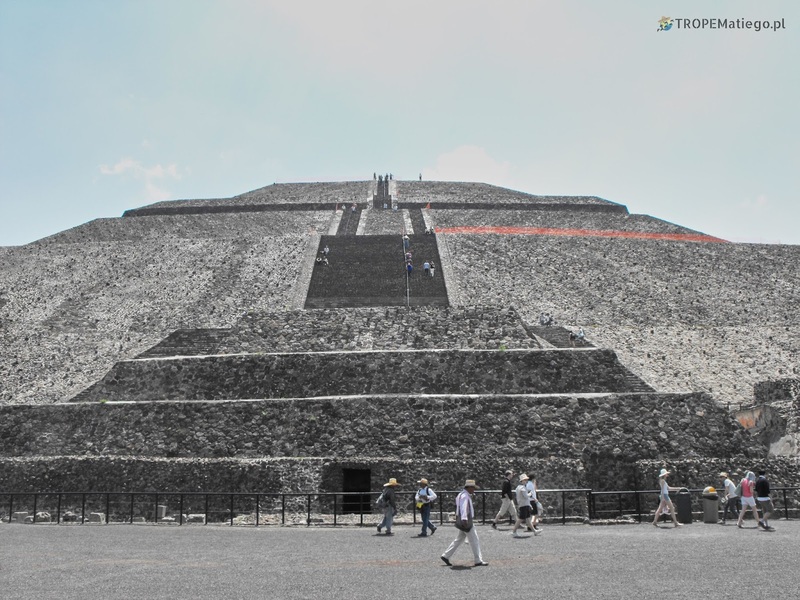 Unfortunately, it is forbidden to go to the top of the Pyramid of the Moon. Access is only to the first level. 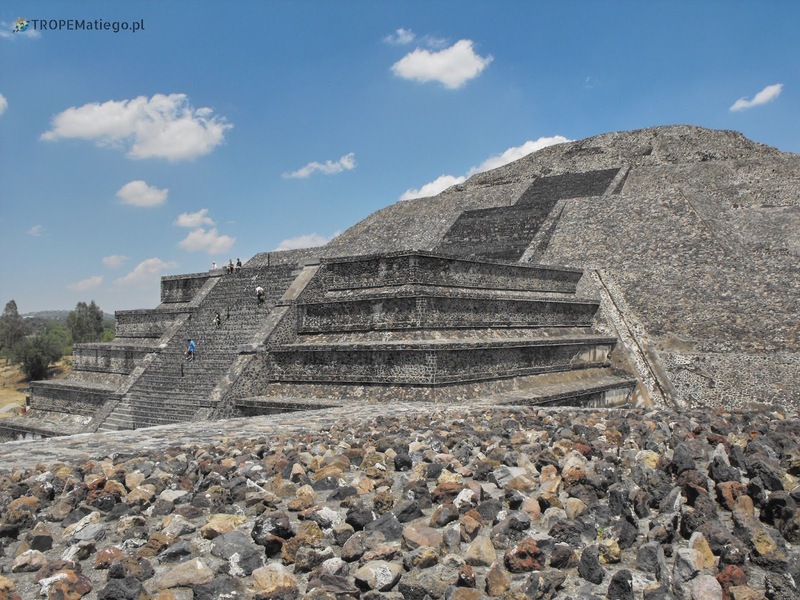 Next to the pyramid is also palace that can also be explored.